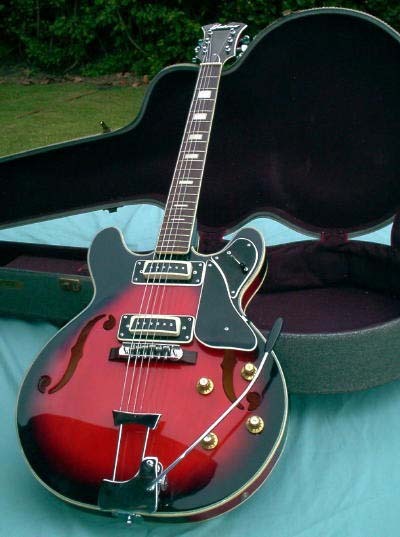 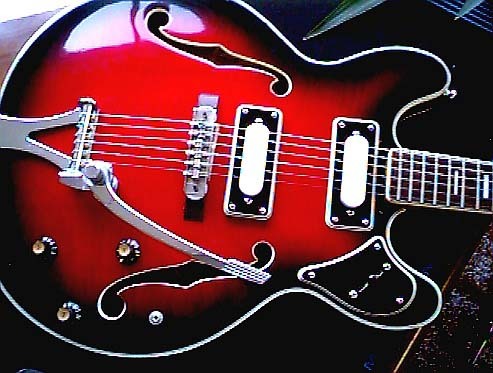 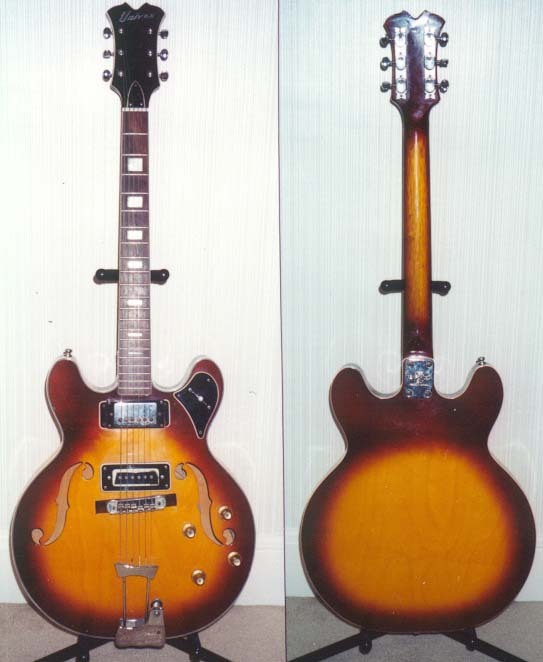 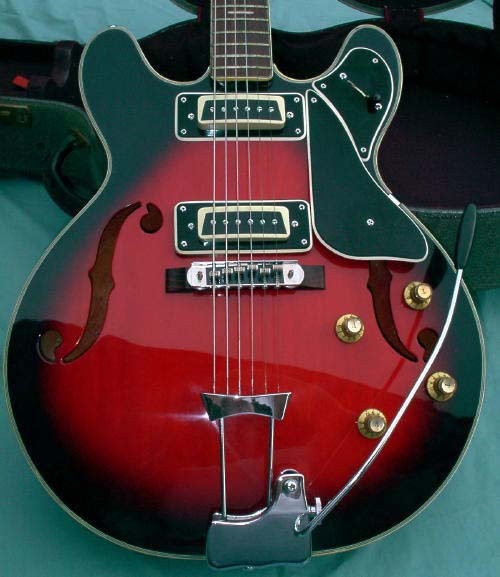 The HR-2 was a copy of the Gibson 335 semi-hollowbody guitar. 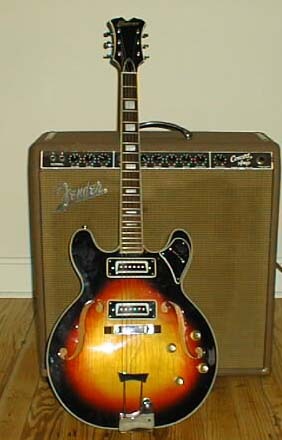 It was produced around 1965-66 and distributed by by Lyle and Epiphon as well as Univox. 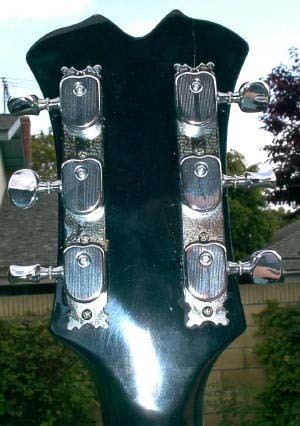 The guitar includes two single coil pickups, a raised pickguard, tremolo system on the bridge and an interesting headstock with a triangular indentation in it. 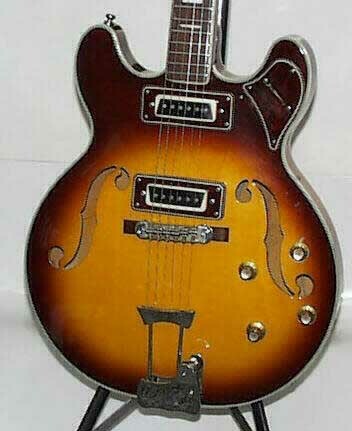 It was available in sunburst (1, 2, 3, 4) and red (1, 2, 3, 4 5, 6) . 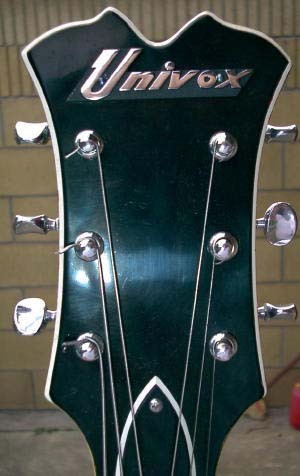 The guitar was also available in sunburst as a 12 string, with Mother of Pearl on the fret board and a slightly different cut in the body.